A bride or bride-to-be will love this gift! 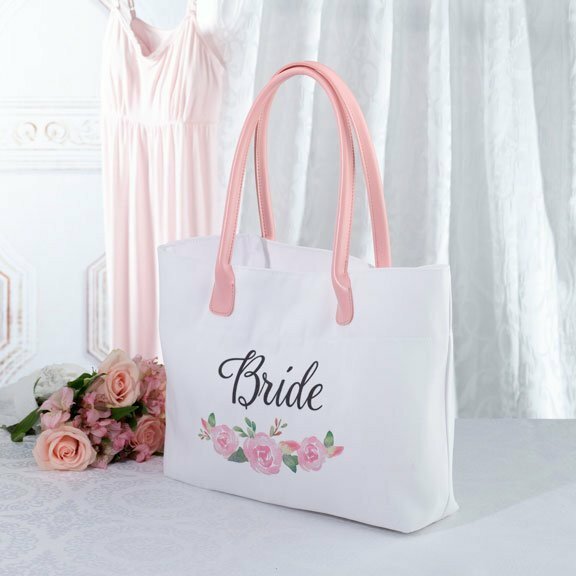 A handy canvas tote bag, complete with a floral motif and the word Bride printed on the front is the perfect way to honor the special lady. Choose to gift these tote bags on its own or fill them with other thoughtful items such as a silk bathrobe, a pair of comfortable flip flops, a survival kit, her favourite drink and snacks, perfume, and more! Dimensions: Tote measures 16.5" by 10.5".